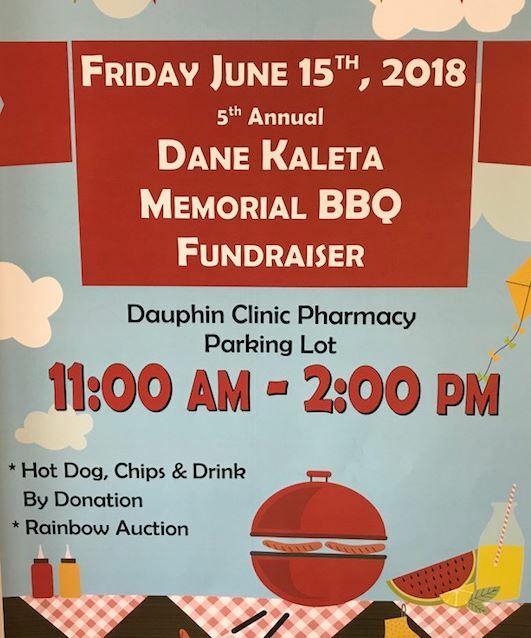 The 5th Annual Dane Kaleta Memorial BBQ Fundraiser is Friday June 15th from 11am - 2pm in the Dauphin Clinic Pharmacy parking lot. Great food, great prizes and for a great cause. All proceeds raised go to: Ronald McDonald House Charities Manitoba, Dauphin Girl Guides and the Dane Kaleta Memorial Scholarship Fund. DCP has donated a raffle prize towards this event. Thank you Dauphin and surrounding area for all your support in making this fundraiser such a success.